This film is a part of a Double Feature with Shoulder Arms. When two movies that are screening in the same theatre are grouped under the same thematic heading, one ticket is good for both features when viewed back-to-back on the same day (except as noted). Peter Sellers, George C. Scott, Sterling Hayden, Keenan Wynn, Slim Pickens, and James Earl Jones. 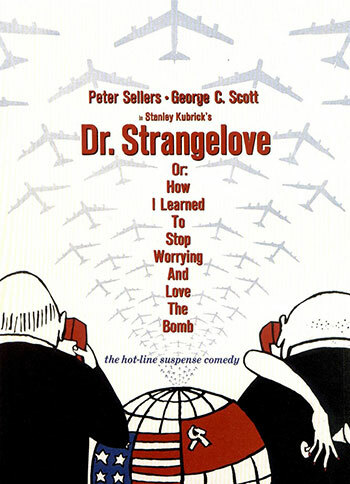 Peter Sellers turns in not one but three incomparably hilarious performances, and director Stanley Kubrick delivers pitch-dark comedy in this riotous satire of Cold War paranoia that suggests we shouldn’t be as worried about the bomb as we are about the inept people with their fingers hovering over the button. Make your trip to the Paramount Theatre a Capital Metro Transit Adventure! Plan your trip now.